Every product sold in the stores are carefully selected and made. Let us know if you have an urgent deadline and we'll see what we can do. If you have your own size table, please feel free to contact us. has a history of almost 30 years in the sportswear industry. 4. Q: What&rsquo;s your sample policy9 A: We are happy to make samples to your testing before you place order. Or you can send your inspection team or required the 3rd party to inspect the products, such as SGS. pls contact me to confirm the freight when you place a order . I hope you will like our products and accept your good Suggestions. Please contact us if you need to. Thank you! Product Name New Style Quick Dry Supplex Fitness Wear Material 83%Nylon 17%spandex Size S,M,L,XL Color Customized color available, or as shown MOQ 1 piece. ZhunDu Company is a manufacturer and a trader, specialized in the research, development and production of sandals. All of our products comply with international quality standards and are greatly appreciated in a variety of different markets throughout the world. After 8 years hard working on it,from our native cooperators to global advanced material suppliers, we have an extensive network to support our operation. Quality, speed and the best price are the core elements of our production. We ensure that all products are monitored and tested at each stage of production process, and the finished items are under final inspection before packing. Warm notice 1.After sending the payment, pls send us your detail address, receiver's name and telephone number,tks! 3.Our shipping cost did not include the tax, so if you want to pay less tax, pls noted us, we will try our best to low down the value on the invoice. 4.As we are original factory, So any color on the pantone card we all can make, just send me the pantone Number, Kindly noted, tks! 1. Our factory is a professional garment factory which have been in this line over 15years. &hearts; Goods damage in transit, we will be responsible for all. &hearts; Factory price,Make the shopping be a enjoyment . 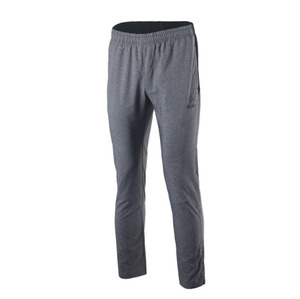 Alibaba.com offers 10,293 supplex fitness wear products. About 92% of these are fitness & yoga wear, 1% are training & jogging wear, and 1% are leggings. A wide variety of supplex fitness wear options are available to you, such as breathable, waterproof, and anti-uv. You can also choose from spandex / cotton, spandex / polyester, and spandex / organic cotton. As well as from women, girls, and men. 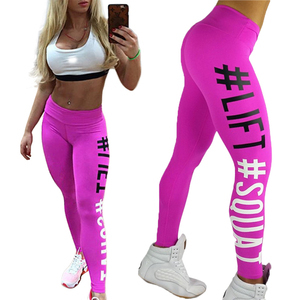 And whether supplex fitness wear is oem service, or in-stock items. There are 10,232 supplex fitness wear suppliers, mainly located in Asia. The top supplying countries are China (Mainland), Pakistan, and Brazil, which supply 91%, 6%, and 1% of supplex fitness wear respectively. Supplex fitness wear products are most popular in North America, Southeast Asia, and Western Europe. You can ensure product safety by selecting from certified suppliers, including 3,395 with ISO9001, 1,024 with ISO14001, and 606 with Other certification.